SHANGHAI: Shanghai will host the 1000th Formula One world championship Grand Prix on April 14, but the milestone won’t distract from the behind-the-scenes battle to shape the sport’s immediate future. 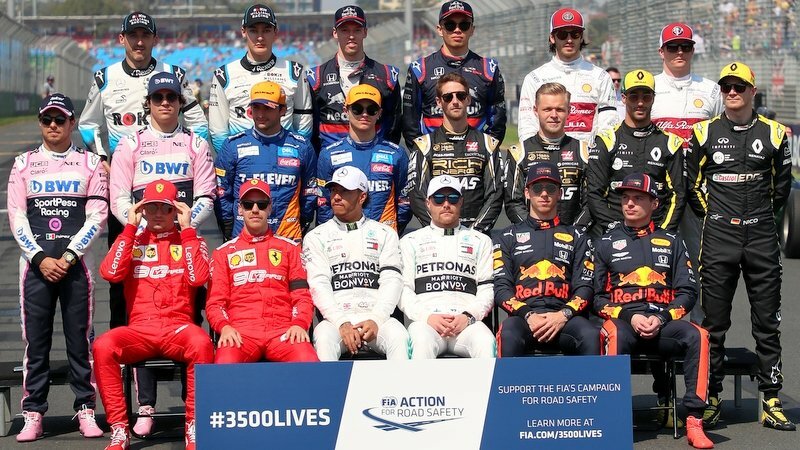 The lead-up to F1’s landmark event has been dominated by the fight over how the sport will work after the expiry of regulations and commercial contracts at the end of 2020, and with governing body the FIA mandating a June 30 deadline, negotiations are ramping up. There is virtually no aspect of Formula One that won’t be touched by this new framework, the five key areas of which are the technical regulations, sporting regulations, cost control, governance and engine architecture, and with all 10 teams involved in the consultation process, opinions are understandably varied. The matter of the engine formula appears near resolution, with the sport’s desire to simplify the current V6 turbo hybrid power plant to attract new manufacturers ditched when no new companies were willing to commit. The engine is expected to remain largely unchanged. The governance of the sport appears similarly close to a conclusion to end the much-derided model of having only the wealthiest five teams permanently represented in the internal rules-formulating body, with a streamlined and more representative model set for implementation in 2021. But other matters continue to exercise minds, and it’s the intersection of the technical and sporting regulations and cost control that is likely to take negotiations right through to their deadline. Cost control has been a prickly issue for the sport for more than a decade, with the cost of racing estimated to have already spiralled past US$400 million (B12.7 billion) per annum for Mercedes and Ferrari, growing the performance chasm between those with cash and those without to the detriment of the sporting spectacle. The largest teams have historically been unwilling to part with the advantages that come with a bigger bank balance, but even as they grow amenable to financial sustainability, they fairly protest that a sudden cap on costs would result in massive job cuts. The cost cap is therefore expected to start at US$200 million (B6.36 billion) minimum before decreasing over subsequent seasons. But the sport is hopeful of finding savings for teams through technical and sporting regulations – for example, by mandating a greater list of third-party standard parts. A control gearbox cassette has already been put out to tender and other components are expected to follow. Finally, the form of the cars remains undefined, though several models, some of which were presented to the public late last year by F1 Motorsport director Ross Brawn, are being refined to meet the aims of improving racing while maintaining an aggressive look. All this is slated to be concluded by June 30 – but, true to F1 style, talk is already turning to a six-month delay, ostensibly to prevent a costly 18-month development war to build the 2021 car. While talks continue off-track, on the track Ferrari will be determined to bounce back from a scrappy opening two rounds with what is tipped to be the fastest car-engine package in Shanghai. Pressure will be on Sebastian Vettel to make amends for his late-race spin duelling with Lewis Hamilton in Bahrain, which transpired to be a battle for victory after teammate Charles Leclerc dropped to third with an engine malfunction shortly afterwards. The season is still young, but Mercedes has already bounced to a 39-point lead in the constructors standings thanks to two consecutive one-two finishes, while Leclerc, the Scuderia’s highest-placed driver, is 18 points behind championship leader Valtteri Bottas. The 1000th championship Formula One Grand Prix is up for grabs, but there’s so much more at stake than this historical curiosity alone.